On World Book Night - an evening of bookish celebration around the country - Abingdon Library was packed to welcome debut novelist Rachel Joyce, author of 'The Unlikely Pilgrimage of Harold Fry'. The event was the culmination of the 'Oxfordshire World Book Night Read', put together with the energy and enthusiasm of Oxfordshire librarians and publisher Transworld. The idea was simple: reading groups around Oxfordshire received proof copies to read and discuss ahead of the event, and other Oxfordshire libraries hosted book events on the night too with a variety of authors. It seems to have been a great success. 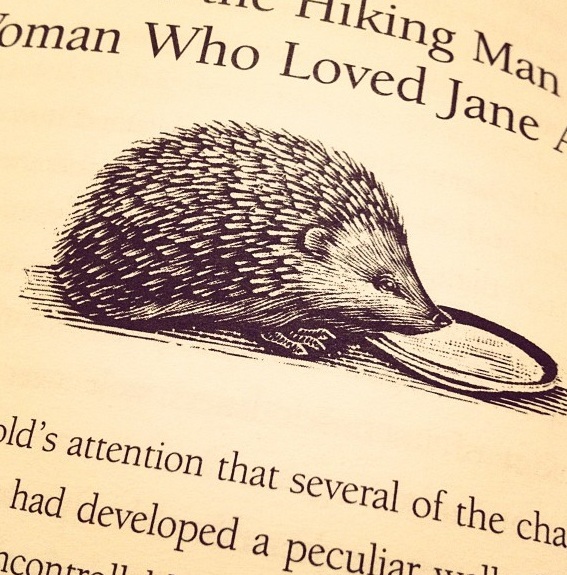 We've loved recommending 'Harold' in the shop (although the title sometimes morphs into the author's own name: we have described it variously as 'Harold Joyce', or 'Rachel Fry', or some other mash-up. Having met the author now, this may become worse). It's one of those perfect books (for us) that appeals to a wide range of readers, but has real emotional depth and ensures Harold stays in the mind for a long time after the book ends. The physical book itself is very desirable: Transworld have produced a gorgeous hardback, particularly in its choice of understated yet pitch-perfect illustrations at the start of each chapter. (There were appreciative comments on this from the audience). Rachel has the endearing quality that I think the best writers have of seeming slightly bemused about all the fuss, as though she looked up from writing one day and realised all these people were there wanting to discuss it. Fittingly for a book about a compelling journey, her own route to published author was both fascinating and revealing. Rachel's background is writing for radio, and has been hugely successful in that field (you can read her impressive radio CV here). She described how writing for radio requires skills honed for telling a story in 7,000 words, and the need for 'hooks' when writing over several episodes (and much bigger hooks if episodes run over the weekend!). Again, as with the best writers, there's a feeling of a long apprenticeship, and so no surprise perhaps that a debut should feel so assured. 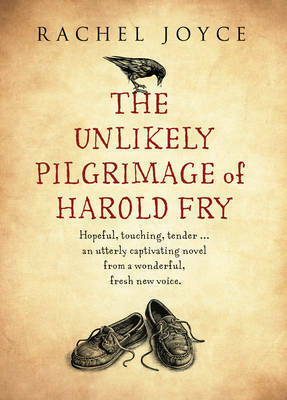 Neither is it surprising that 'The Unlikely Pilgrimage of Harold Fry' grew out of a radio play, one written initially after her own father was diagnosed with cancer. 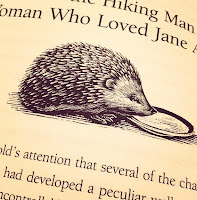 The initial motivation was, she felt, to try to keep her father alive, and though he never saw the book, it is more poignant when, at the start of the novel, when Harold resolves to walk to where an old friend, Queenie, lies dying, he writes "I will keep walking, and you must keep living." Rachel described the act of writing as something she has to do, and despite plenty of obstacles to this (four children, 'nuff said) she described writing as "knitting in your head". This 'knitting' gets done wherever convenient (even in at the cinema whilst on chaperoning duties) and it seems her family also keep her on the straight and narrow, with her husband intervening when trips to research the route threatened to get out of hand ("you're writing fiction, not a travelogue!"). Rachel spoke quietly - but passionately - about her love of the countryside, a plea for map-reading (as opposed to sat-navs) and how these passions end up woven into the books. 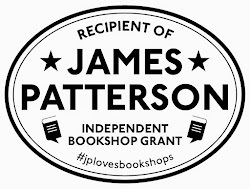 We were delighted to be involved, it was a wonderful evening, and again shows the magic that can happen when bookshops and libraries come together - particularly to celebrate such a splendid book with a delightful author. 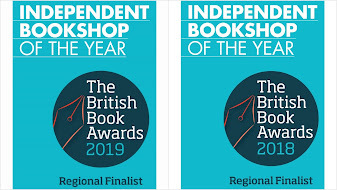 Kudos to the library staff who came out in force (and had to stand at the back) but mostly to Alison Barrow from Transworld who chaired the evening so brilliantly, and Rachel herself - go Harold! Thanks Mark! Another successful evening and Rachel was lovely - I love your phrase "slightly bemused about all the fuss". although I wish the library would move that desk in the middle for events so the author could sit there and be seen by more people!). Emma-Lee Potter has also written a fantastic write-up of the event on her blog here. Thanks so much, Nicki. And I so agree with your comment about Rachel looking lightly bemused about all the fuss. She was so modest about her wonderful book. This one sounds like a wonderfully touching read - I can't wait to get my hands on a copy!